We create the value of brand-new Laser Energy for our customers by providing our solutions with professionalism. 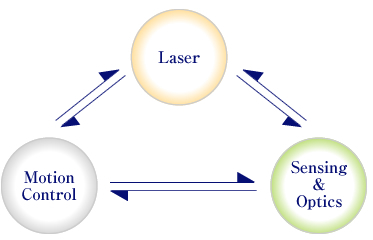 We provide high quality & high precision processing Laser for industrial, medical, or scientific customer’s Market. We cultivate a lively corporate climate in which each employee works with enthusiasm and pride. Prot-X can provide total Laser with Optics & Motion Controll Systems for Industrial, Medical & Scientific Customers Based on Global Sales & Support Structures. We develop total solutions of processing to meet our customer’s specific needs & aim to maximize customer’s satisfaction. We provide “Cutting Edge Laser Technology ” for High quality & High precision processing. We create total solutions, and providing Total Laser Systems for each customer’s requirement as a result of processing experiment.